If the video doesn't start when you click on play, try clicking on the refresh icon a couple of times. of which is to promote the use of computers and educate and assist members in the use thereof. Membership is $12 per year for individuals ($18 for a family membership). Program Presentations at monthly meetings. Q & A sessions at these meetings to help resolve member's problems. Inclusion in the drawing for prizes at these meetings. 12 issues of the groups monthly newsletter, Bits of Bytes. Access to the software library of shareware and public domain programs. 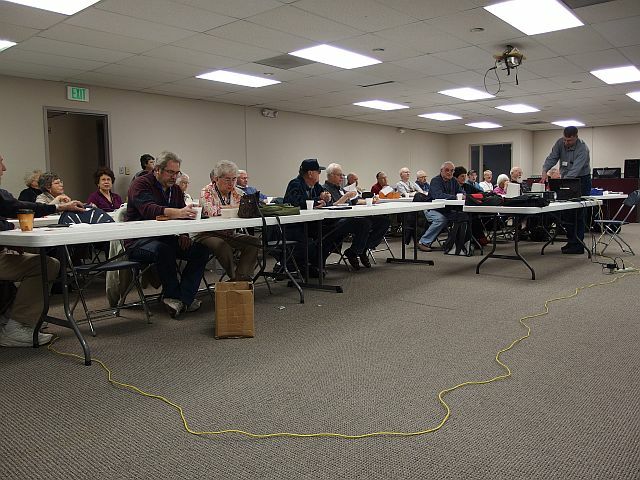 The group meets on the first Saturday of each month at the Springs Community Church located at the corner of Lexington and Woodmen. The meeting begins at 9:00 am. The featured presentation begins at 11:00 am. Coffee and doughnuts are available. 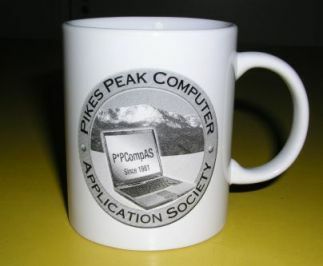 At the end of the program there is generally a drawing for computer related prizes. We also have a monthly Social Breakfast on the third Saturday of the month at 8:00am at the Country Buffet at 801 North Academy Blvd. The next P*PCompAS General Meeting will be on Saturday, May 4th, at 9:00am. The program is not known at this time. The next P*PCompAS Social Breakfast will be on Saturday, April 20th. Hours are 8:00am to 10:00am. Location will be the Golden Corral, 1970 Waynoka Road. We hope you will consider joining the group. For more information, e-mail Ann by clicking here. Comments or suggestions for the P*PCompAS Webmaster.